Did you know? Independents account for 39.9% of the global music market. 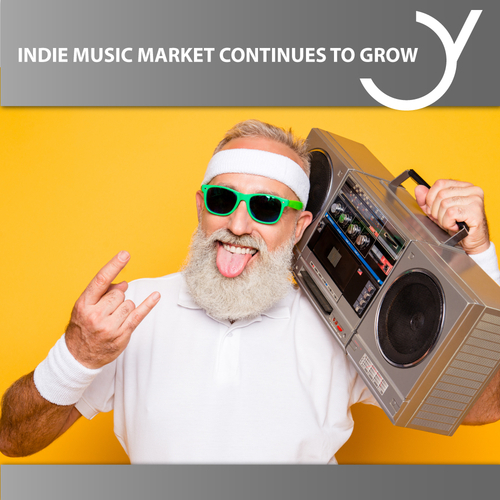 In addition, indie labels are growing by 11.3% on average, while the rest of the market is growing by only 10.2%. These are strong figures that speak for the quality of indie musicians. Adding to this the streaming numbers have increased considerably. In Germany, audio streams rose to a record high of 79.5 billion in 2018, an impressive 40% more than in the previous year. With "only" 48.2 million CDs sold, it was a little less than in 2017, but still the CD is and remains the second most important medium in the music market. Downloads take the 3rd place with 49 million downloads. Become a part of this success and sell your own music. Start now with Feiyr!